Info: Created on Tue, 12th March . Last edited on Sun, 17th March. Some interesting shapes here. Nice work! The sample is a beauty! Great pixel optimization! It reads well even at a tiny size. Congratulations! FontStruct Staff have deemed your FontStruction worthy of special mention. 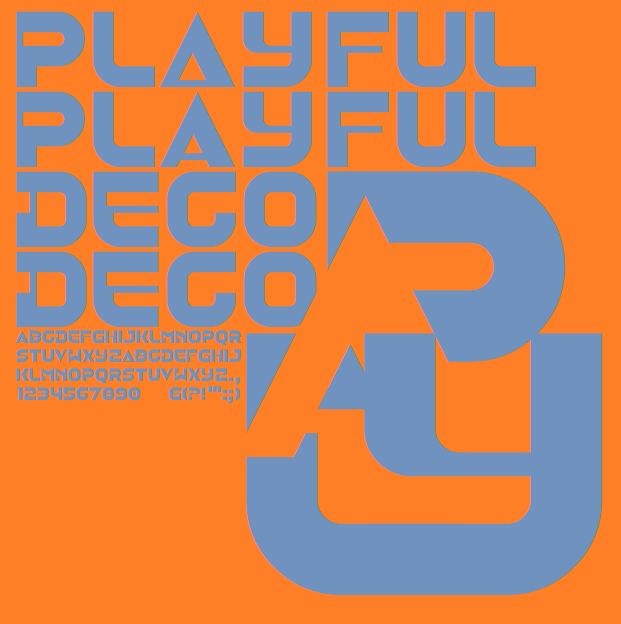 “Playful Deco” is now a Top Pick. Thank you for the special mention! !